Developer: Slant Six Games Inc. In 2012 just after our team had finished working on a big console title, we were keen to try a much smaller mobile project and we decided to try our skills at a children’s app! The app was released April 25th 2013, and is currently featured as New and Noteworthy by Apple. 15 weeks. We decided to take a small team and short development cycle with this project and we’re super happy with the result! It has to be the variety of mini games available, defeating the tentacle sea monster or dueling with swords. Also the spinning interactive globe is super fun and unique! One of our favourite highlights is the cannon shoot out in Barnacle Bill’s hideout, you have to try and catch him with a cannon ball and win all the gold! Ahoy there! 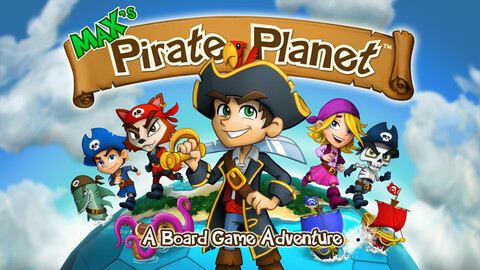 Max’s Pirate Planet – A Board Game Adventure is a high seas pirate board game adventure on a thrilling and interactive spinning globe. This is a paid board game which comes complete – no in app purchases! Also please note, if you start walking around asking for loot or saying things like “yar”, “yo-ho” or “ahoy”, we cannot be held responsible. Legend has it that Barnacle Bill hid his hoard of gold in the fabled Sunken City, then hid pieces of the map in treasure chests all over the globe. The chests are protected by monsters you have to defeat. 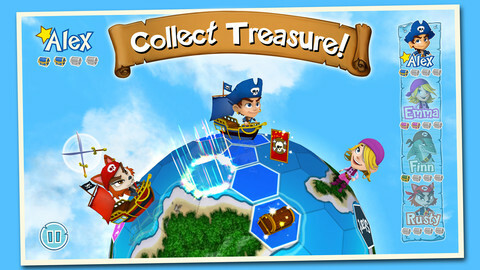 Choose from five unique pirate characters and sail your ships around the globe in a race to find the map pieces. 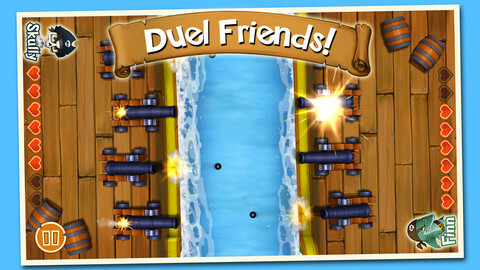 If you play with your friends, you can challenge them to a duel with swords and cannons to get ahead in the treasure hunt. Once you discover the secret hideout of Barnacle Bill, you must try to defeat him in a cannon shoot out to win the game and get all his gold! Everybody ready? Yo-ho-ho and off we go…! 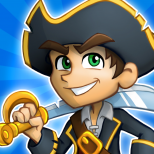 ✔ Gather your friends and family together to play this pirate adventure board game on an interactive spinning globe. Up to 4 players. ✔ Whack caves full of flying bats and smack the creepy spiders! 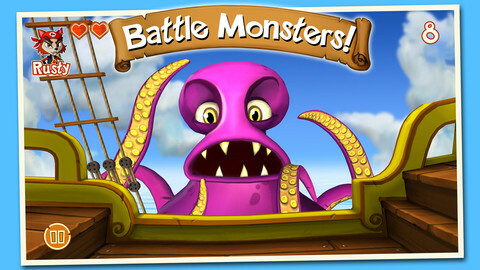 ✔ Battle the tentacled sea monsters and escape greedy whales! 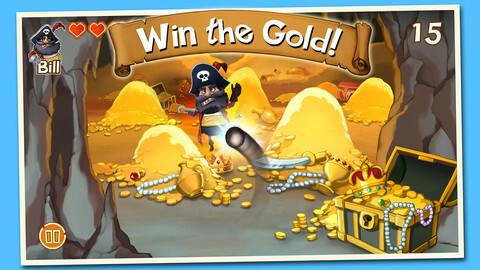 ✔ Defeat the legendary Barnacle Bill in a spectacular cannon shoot out in his cavern of gold! This is a pass and play multi-player board game for kids of all ages. For an enhanced experience, connect your iPhone/iPad/iPod to your TV using Apple TV or an HDMI cable to watch the pirate action unfold on the big screen!